Now here’s something to crow about! The Crow Shaped Birdhouse adds fun to backyards with its whimsical design. 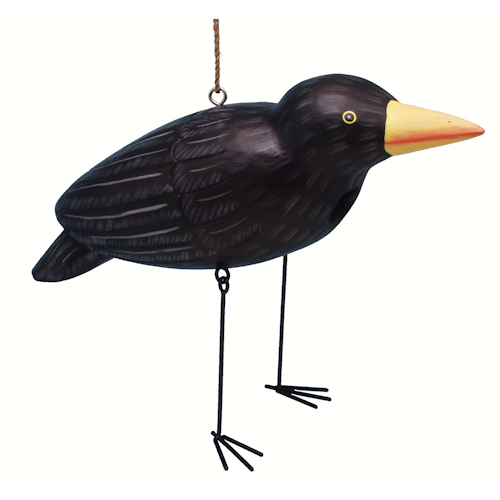 As the bird dangles from its hanging string, its black metal legs will swing back and forth in the breeze. Be the first to review “Crow Shaped Birdhouse” Click here to cancel reply.